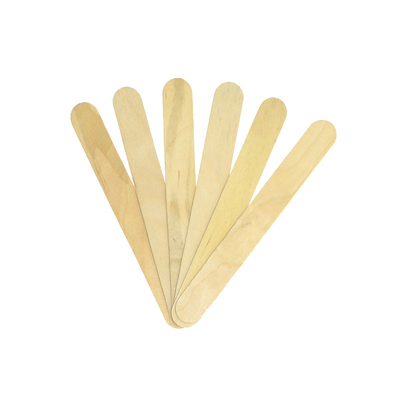 Suited to a wide range of crafting activities, our own brand Gompels Natural Lolli Sticks can be used by all ages. Manufactured from a high quality wood, each one can be used in it's entirety or cut to size according to your needs. Their versatile finish allows them to be painted and glued while also working well as a pasting tool. This large and economic pack size can be distributed throughout your entire class or stored away as extra stock for when replenishment are needs. For the most creative classrooms or crafting classes, these natural lolli sticks are a great addition that promises to become much sought after. High quality wood can be used in a variety of ways. Suitable for painting, gluing, spreading or stirring among other tasks.